We will send you 100% real unique visitor's for the life of your website. Our traffic is all USA visitors and will track in all trackers! 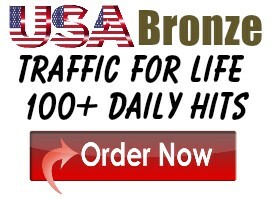 Get a steady flow of USA visitors delivered daily! With our lifetime campaigns there is No Cap on the amount of traffic you receive. Literally get thousands of visitors each month! All orders start within 24 hours, most orders will start within 4 hours. Choose from 3 low cost package's. you can get 100 hits daily to 1,000 hits daily. All websites need traffic, without it your website will fail! Uncle Sam' USA traffic is the best on the market. We will send you your own private stats tracker with all orders. 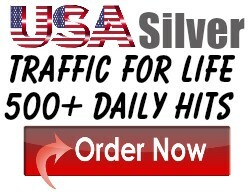 Get your traffic on top today with Uncle Sam's traffic!